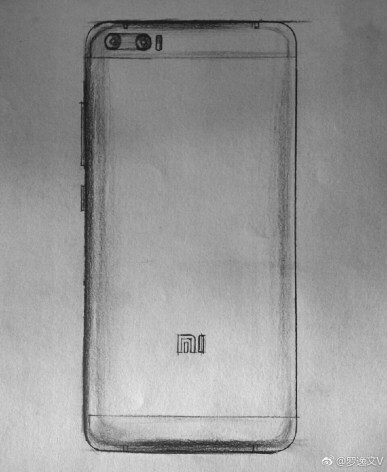 Xiaomi's much-awaited flagship phone Mi 6 has been variously leaking for a quite some time. 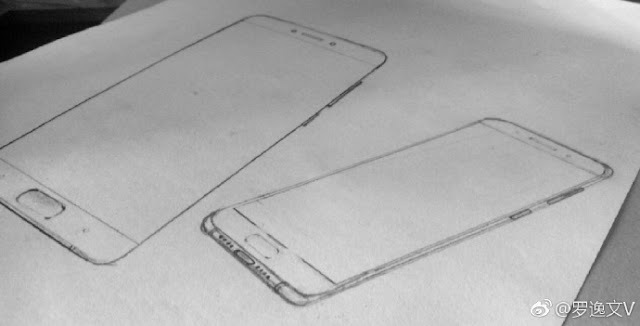 While the specifications of the device have become clarified, the design seems to be a big matter of discussion on social media. According to a new leak found in Weibo, the sketches clearly indicate the how Mi 6 might look in imagination. The phone is not completely bezel-less like the Mi Mix but comes with narrow bezels on the left and right portions while the forehead and chin portions seem to have thick bezels. The phone also have a typical physical button on the chin part that might also function as a fingerprint scanner. The bottom side of the phone has the USB Type-C port and iPhone like dual speakers. To the left side of the phone, there are physical volume keys. The rear end is also pretty much easily predictable. There are dual cameras with a LED flash paired with the cameras and a Mi logo in the bottom. Xiaomi Mi 6 is the first Chinese phone to come up with Snapdragon 835 processor. The phone comes in three variants. Two variants sport a Snapdragon 835 Processor and the third one comes with the MediaTek flagship processor - X30 Helios SoC that is similar to SD 835 in specs. Both are designed on 10nm process technology that aids the smartphones to be built thinner. All the three variants have the quad HD resolution supporting dual-edge curved OLED display. However, the difference exists in the RAM and internal storage. The first variant sports 6GB RAM, 256 GBinternal storage. The second variant comes with 4GB RAM and 128GB internal storage. The third one which sports the X30 processor will have 4GB RAM and 64GB internal storage.